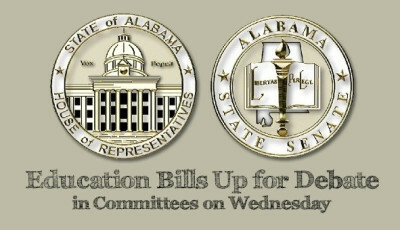 Alabama School Connection » After the Primary, Who Is Heading to Montgomery? After the primary, we now know who 63 of our 105 state House representatives and 16 of our 35 state Senators are for the next four years. The primary election was held on June 3. Twenty-five winning candidates (23 House and 2 Senate) are heading to Montgomery since they face no challenger in the general election. Add to that the incumbents who faced no challengers at all (39 House and 14 Senate). Plus House District 75 has a Republican candidate but no Democrat candidate, making that race complete. Six runoffs, to be held on July 15, will determine four House seats and two Senate seats, as those folks face no challenger in the general election. Two runoffs (both Senate seats) will determine who a Democratic challenger will face in the general election. Three of those four House runoffs and one of the two Senate runoffs contain a challenger who indicated opposition to the Common Core State Standards (CCSS). November’s general election will determine the remaining 38 House seats and 17 Senate seats. The list of candidates indicating opposition to the CCSS (from this post) will be updated after independent candidates are named. 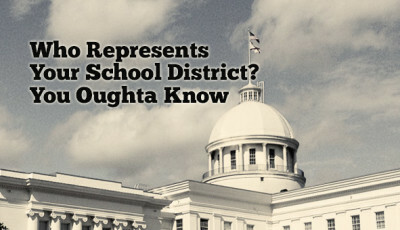 Where Do Seated Legislators Stand on the CCSS? 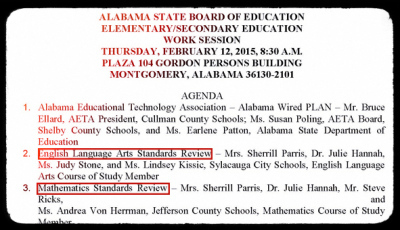 Since last week, two more states have backed out of being “Common Core” states. That makes three: Indiana, Oklahoma, and South Carolina. 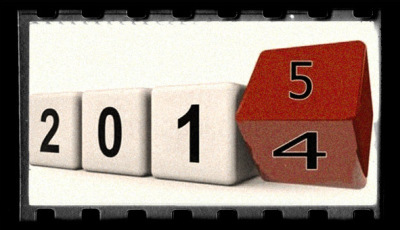 In each case, it was the state legislature that forced the repeal of the use of the CCSS. And Oklahoma’s legislature went so far as to require legislative review of any academic standards adopted in that state. The serious political wonks are already hard at work determining which issues these 79 folks support in various areas, but we are going to take a quick look at whether these folks have satisfied any of the indicators that show they oppose the statewide implementation of the CCSS. 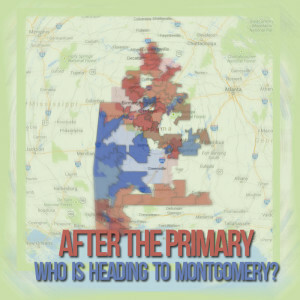 The simplest way is to look at a map of those we know are heading to Montgomery. No Democrats have indicated their opposition to the CCSS. Those districts are represented in blue. Republican districts are represented in two shades of red. The darker red indicates a district where the legislator has indicated opposition to the CCSS.